I don’t want to worry you…. But you know that scene in the first Alien film – the gut busting, stomach wrenching, ohmygodwhatthehelljusthappenedtoJohn Hurt moment – that had me scraping myself off the ceiling of the cinema the first time I saw it. Do you remember the way poor John had no idea that anything was wrong until his belly exploded….? Well I’m sitting on my sofa nursing a vastly expanded waistline. And I’ve got a worrying feeling that I too may be about to explode. And while it might be all the chocolate I’ve eaten this weekend, I’m a little bit scared that there might be another more sinister explanation…. Because I was out in Puerto Pollenca for a few days last week. And there is something weird going on out there at the moment. First off there’s the alien on our terrace…. I knew something was up last year. 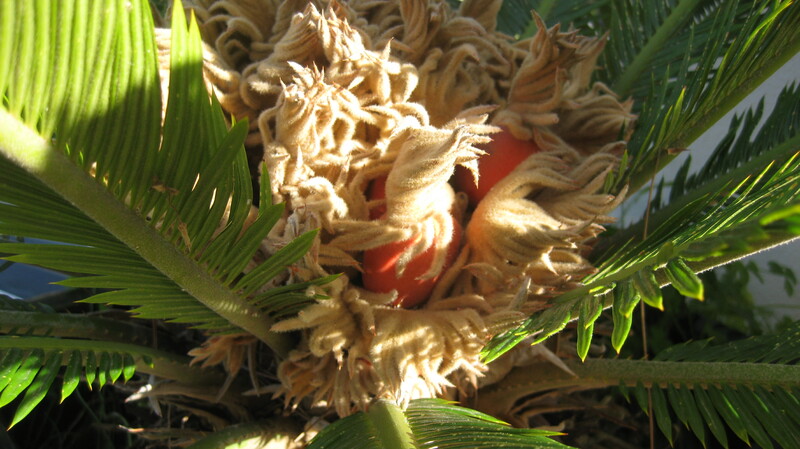 The Cycad, which has dutifully put on new growth each year, was behaving very strangely. It appeared to be growing a head. I told myself that it would all be fine by the time I came back after the winter. 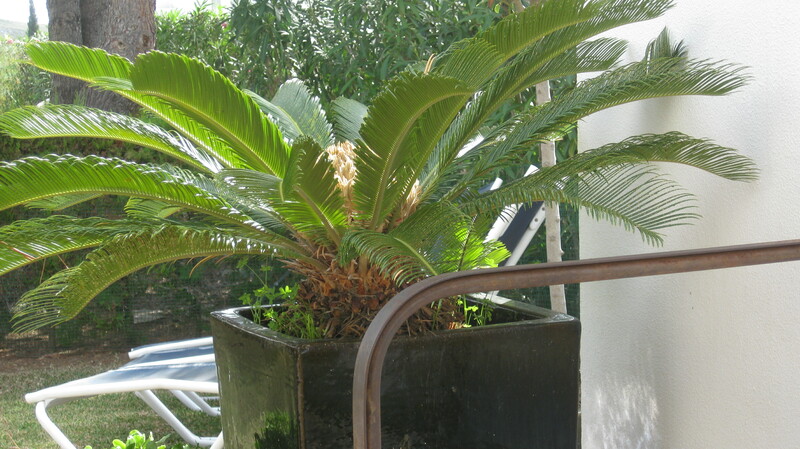 All that wierdness would have settled down and we would be the proud owners of a perky Cycad with a lovely new set of leaves. …. But I was wrong. What’s that all about……? I lay awake in the night and wondered about aliens invading my inner space. 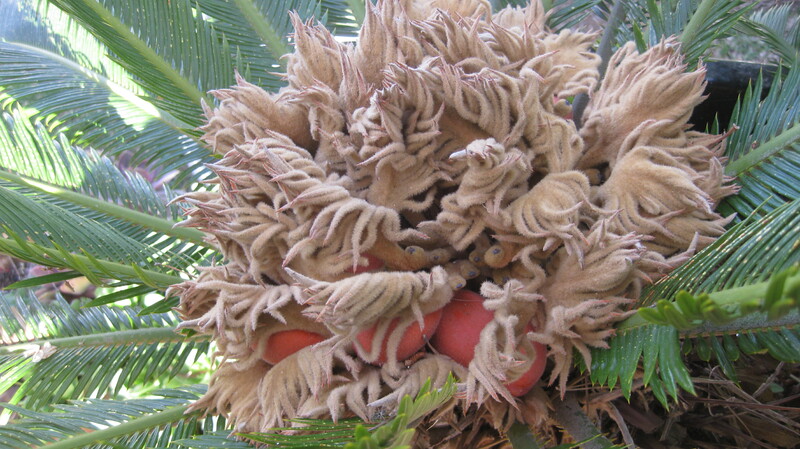 Because it wasn’t just the Cycad…. There was also the spooky beeping…. We heard it the first night as we were going to bed. Sounded like the battery on someone’s fire alarm had gone flat. So piercing beep every few seconds for half an hour or so. And I’m beginning to wonder if earplugs might be the answer, because the owner of the house with the dodgy fire alarm is clearly not there. And we could be in for a long night. But then the beeping stopped. Ok – owner must be back, batteries replaced – we can all relax. I turn out the light and prepare for a good night’s sleep. And the beeping starts again. And then a while later it stops. And then starts again. And continues onning and offing throughout the night. The next morning I heard it joining in with the dawn chorus. What was going on? On our walk home from dinner in the port the following night, as we walked beside the water’s edge along Pine Walk, we heard the beeping again. And that was when we discovered that it was coming from somewhere above our heads, in a tall pine behind the villa on the corner as we turned away from the bay towards our house. So we went straight home and we looked up ‘weird beeping in Puerto Pollenca’ on the internet. And you know what…. At first we thought it was calling to a mate. Because in the distance we could hear a faint reply. But then it hit us. It wasn’t another Scops Owl…. It was an echo…. So ok – the beeping is a lonely owl story. And the waist expansion is probably just down to overindulgence. 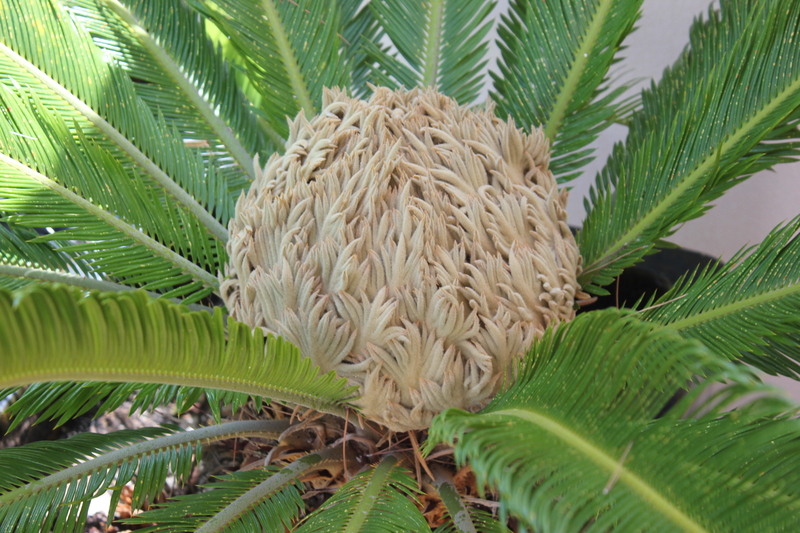 But I’m keeping an eye on that Cycad….